To succeed in the current economic sensitive business climate, smart businesses are adopting and realizing that the next frontier is to read and respond to the “Digital Body Language” of their prospects. Consumers leave a digital fingerprint through the plethora of touch points available today such as web, search, social media, kiosk, mobile and In-store devices. With these touch points, consumers are empowered to engage with and opt into the information that they want. The companies need to harness this digital information to understand customers, personalize/customize messages, and enable more effective campaigns and engagements to provide the right message to the right person at the right time for superior customer experience service. 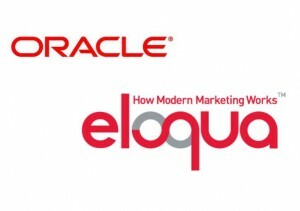 To understand each buyer’s demographics, behaviors, and influencers, Oracle Eloqua tracks the digital body language of the potential buyers across all channels like web, social and mobile; automate multichannel marketing campaigns, deliver qualified buyers to sales channels, and perform other core marketing tasks. Oracle Eloqua also announced new enhancements – Oracle Eloqua Profiler, which creates a universal customer profile (a more-complete customer record that incorporates a customer’s digital body language) for providing more detailed information to the sales team on opportunities and Eloqua AppCloud for other functionalities. Also integration between Oracle Eloqua and Oracle Social Relationship Management has made tracking of the social media activity easier and brings an entirely new dimension to customer profiles. All the above new enhancements and features to Eloqua definitely provide exhaustive details for the customer’s Digital Body Language which will certainly help organizations of all sizes and from across all industries leverage technology to build digital assets, and track any customer activity from all channels and interactions across digital, social, and mobile channels, improve targeting, engagement, conversions, improve the quality of sales leads, realize the highest return on marketing investment, and increase customer loyalty. CRMIT Solutions (Oracle Platinum Partner), a pioneer in delivering SaaS based Customer Experience consulting & solutions including CX extensions for accelerated deployments and migrations is indeed glad to partner with Oracle Eloqua, a leader in marketing automation. This entry was posted in CRM, Customer Service, CX, CXM, mCRM, Mobile CRM, New Customer, Online Image, Oracle, Oracle CRM On Demand, Oracle Fusion CRM, Oracle Marketing On Demand, oracle sales cloud, SaaS, Sales Cloud, SCRM, Social CRM, Social Media, SocialCRM++ and tagged Business, CRM, CRMIT solutions, Customer Experience, CX, digital body language, Eloqua, Fusion CRM, Marketing, Oracle Corporation, Oracle Eloqua, Social Media, Software as a service. Bookmark the permalink. subject matter, it might not bee a taboo matter but generally folks don’t speak about tgese topics. a taboo subject but generlly folks don’t speak about such subjects. understanding anything entirely, but this article gives good understanding even.